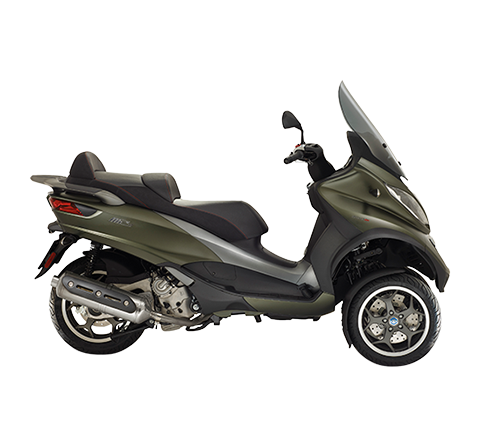 Piaggio, Europe’s leading manufacturer of two-wheeler and three-wheeler motor vehicles. and commercial vehicles (both three- and four-wheeled light commercial vehicles). Piaggio Group is the leading European manufacturer of two-wheeled vehicles and one of the leading producers of three-wheeled vehicles in India. During 2018, the global economy continued to expand, recording growth of 3.7%, despite the emerging volatility of financial markets and a strong political instability. The protectionist stance of US trade policies has started to affect trade worldwide, business confidence and manufacturing, while the uncertainty over inflation has remained high, due to the considerable impact of oil prices and trends of food prices. The US economy ended the period with an extremely positive growth trend (+3%), due mainly to tax incentives, with a full employment rate on the labour market, solid accounts and consumer savings, and moderate inflation. The USD effective exchange rate continued to grow stronger, supported by the choices made by the Trump administration and by a monetary policy that is still divergent from Europe and Japan. The two main economies in Asia continued to expand: in China, growth was stable (+6.5%), slowed down by stringent regulations in the financial sector, but supported by accommodating tax and monetary policies. GDP in India increased (+7.2%) over 2017, despite a weaker quarterly growth due to a slowdown in household consumption and investments. Growth in Japan was weak (+0.9%), affected by the downturn in global demand and the US’s trade policy. After the buoyant trend of the previous year (+2.5%), the Eurozone registered overall growth of 1.9%, mainly due to the decline in the manufacturing sector, affected by the slackening in global trade. The slowdown in GDP was more abrupt than expected, also in relation to transient factors, such as the social protests in France and the effect of environmentally friendly regulations on the automotive market. In a context of growth and fears of inflationary pressures, the ECB decided the deadline for Quantitative Easing, although maintaining an accommodating monetary policy. Italy’s phase of economic expansion stopped, with the period ending well below expectations (+0.9%). In the first half of the year, the slowdown in foreign trade had a considerable effect, not only in Italy but also on the rest of Europe as well, while in the second part of the year, domestic variables had a greater impact. In particular, there was uncertainty over tax and financial policies, which might have led households and above all businesses to exercise greater caution in long-term spending decisions. Based on data available on monitored markets, the global two-wheeler market (scooters and motorcycles) reported sales of over 46 million vehicles in 2018, with dynamics differing based on the geographic area. India, the most important two-wheeler market, continued its growth trend in 2018, closing with just over 21.6 million vehicles sold, up by 12.8% compared to 2017. The People’s Republic of China resumed a negative trend (-12.1%), closing the period with just over 6.9 million units sold. The Asian area, termed Asean 5, reported an increase in 2018 (+7.0% compared to 2017) ending the period with over 13.6 million units sold. Indonesia, the main market in this area, reported considerable growth (+8.4% compared to 2017), with total volumes of just under 6.4 million items. Thailand recorded a slight decline in 2018 (1.79 million units sold; -1.2% compared to 2017); Malaysia reported a considerable increase compared to the previous year (nearly 472 thousand units sold; +8.4% compared to 2017). The sales trend in Vietnam remained buoyant in 2018 (3.4 million units sold; +3.5 % compared to 2017) while the Philippines reported the highest increase of this area (nearly 1.59 million units sold; +20.6% compared to 2017). Volumes of other Asian area countries (Singapore, Hong Kong, South Korea, Japan, Taiwan, New Zealand and Australia) decreased, in overall terms, compared to the previous year, with 1.3 million units sold (-11.4%). The most considerable decline was reported from Taiwan, which reversed its trend and closed the period with 754 thousand units sold (-17.1% compared to 2017). Japan also reported a negative trend, with 369 thousand units sold (-3.4% compared to 2017). The North American market recorded a downturn of 2.7% compared to 2017 (496,000 vehicles sold in 2018). Brazil, the leading market in South America, reversed this trend and thanks to a considerable increase in sales (+17.6%) ended 2018 with 957.6 thousand vehicles sold. 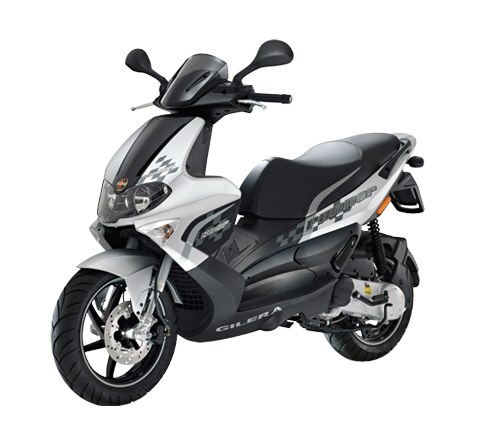 Europe, the reference area for Piaggio Group activities, recorded a slight downturn in 2018, reporting an overall drop of 2.4% in sales compared to 2017 (+7.7% for the motorcycle segment and -10.9% for scooters), ending the period with nearly 1.281 million units sold. The European scooter market in 2018 accounted for 636,650 registered vehicles, with sales down by 10.9% compared to 2017. The main scooter market in the Asean 5 area is Indonesia, with nearly 5.9 million items sold, reporting an increase of 12.4% compared to 2017. 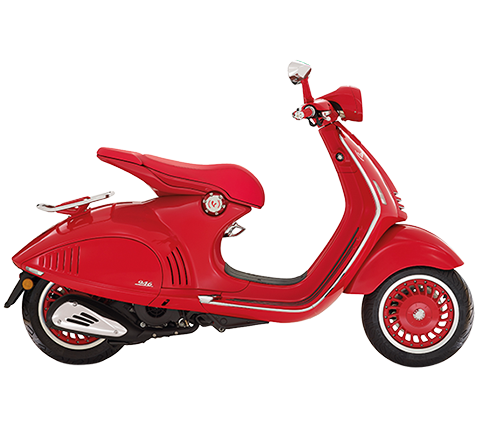 The automatic scooter segment reported considerable growth in 2018 (+12.0% compared to 2017, with nearly 5.4 million units sold). The Cub segment also reversed its 2017 trend, reporting growth in 2018, closing at +16.5%, with 504 thousand units. The automatic scooter market increased by 8.8% in 2018, ending the year with just under 7 million units sold. 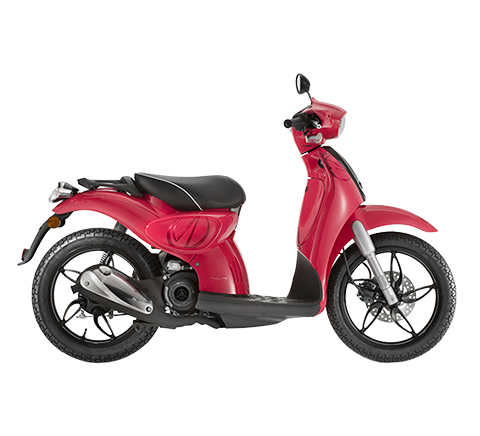 The 125cc segment was the best performer, with nearly 6.8 million units sold in 2018, accounting for 97.4% of the total automatic scooter market. 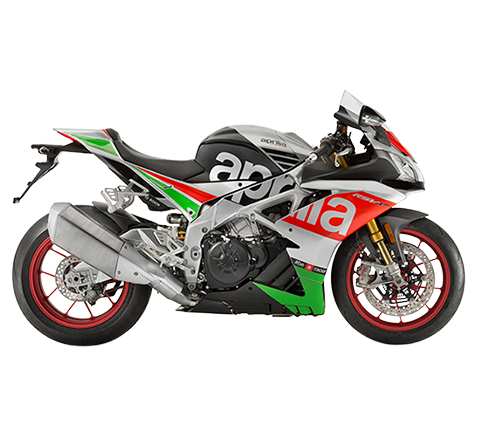 The 150cc segment was down slightly (-9.5%), mainly related to sales of the Aprilia SR 150, which sold 34,873 units in 2018. The 50cc scooter segment is not operative in India. With 644,550 units registered, the motorcycle market ended 2018 with a 7.7% increase. 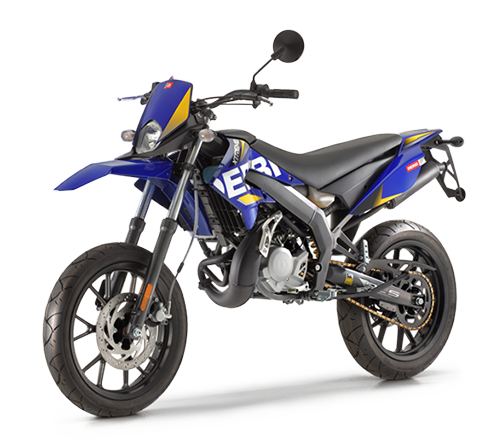 The 50cc segment recorded a negative trend (-21.5%) closing with 33,600 units sold, while the over 50cc segment reported a 9.9% increase, with sales of 610,950 units. 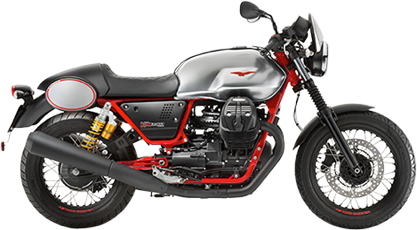 The motorcycle market in North America (USA and Canada) recorded a downturn of 2.1% in 2018, closing the period with 470,000 units compared to 480,250 the previous year. India is the most important motorcycle market in Asia, selling nearly 13.8 million units in 2018, accounting for a 15.6% increase. The motorcycle market in the Asean 5 area is far less important than the scooter sector. Sales of motorcycles in Vietnam were not significant. In other countries, the highest sales were recorded in Indonesia; however with 485 thousand units sold it reported a decrease of 23.8% compared to the previous year. In 2018, the European market for light commercial vehicles (vehicles with a maximum mass of up to 3.5 tons) where the Piaggio Group operates, recorded sales past the 2 million mark for the first time since 2007, up 3.1% compared to 2017 (source ACEA data). In detail, the trends of main European reference markets are as follows: France (+4.6%), UK (-1.3%), Germany (+5.4%), Spain (+7.8%) and Italy (-6.0%).